The FolkArt Lily & Val 3 Piece Painting Stencils feature designs and lettering inspired by Valerie McKeehan. With inspirational hand-lettering and illustrations, these 3 pc stencils make it easy to layer alphabet sheets to create unique drop shadows and embellishments for hand-drawn chalkboard lettering effects. Made from laser-cut layer, these stencils clean up easily with soap and water. Where can I learn more about how to use Lily & Val stencil #13252? 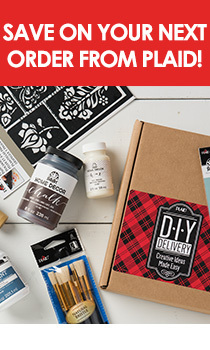 You can review a PDF of the packaging for additional information on how to use FolkArt Lily & Val stencil #13252.